Tangle Oaks is an appropriate name. 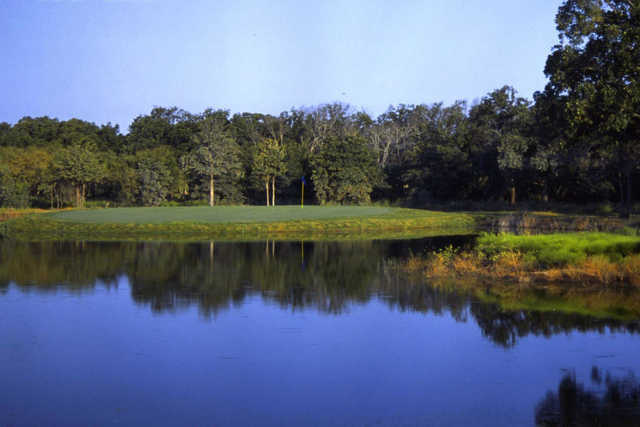 The course is carved out of an extremely dense oak thicket, sometimes referred to as “the shinnery.” In fact, the shinnery is so thick that it’s played as a lateral hazard– players just drop from where the ball went into the briar-patch-like rough. Length is not imperative, but accuracy is key. 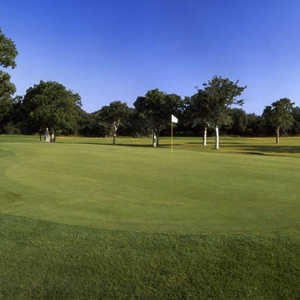 The greens are elevated, tilt from back to front, and have a medium to high slope. The fairways are quite tight, due to the oaks. The strategy is simple. Keep it straight or you'll get in trouble. Length is not important, but accuracy is a must. The signature hole is No. 9, a 383-yard par 4 that plays into the teeth of the stiff west Texas wind. To further a golfer's sheer terror, the green is completely fronted by water and a formidable retaining wall. On the back the most notable hole is No. 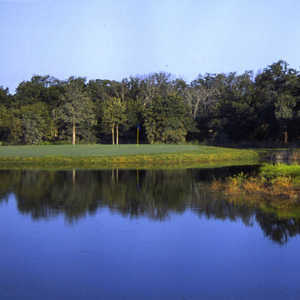 13, which features an island green. 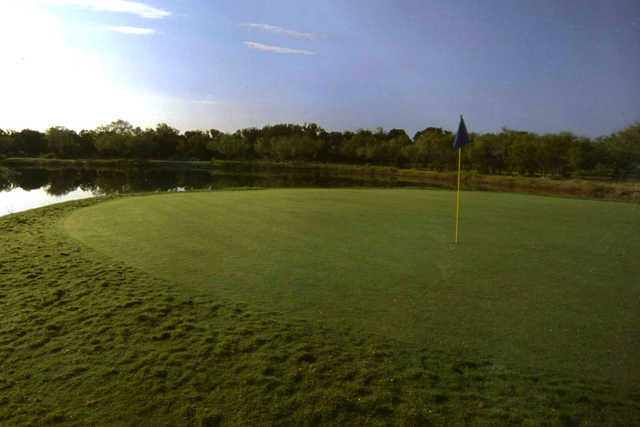 Hole 18 is unique because of the split fairway. Other notes: The county is dry, but Tangle Oaks allows you to bring your own beer. 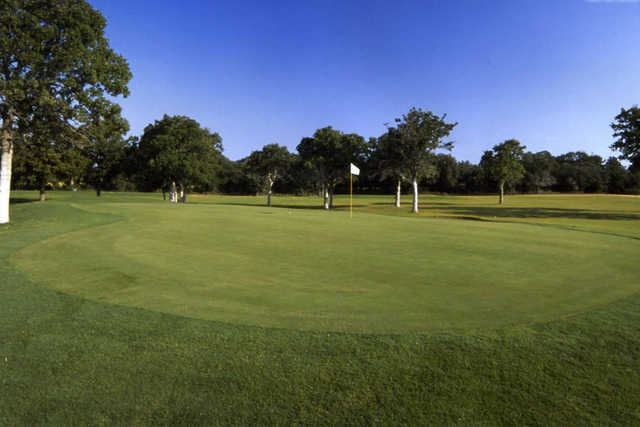 While most of the play comes from Abilene, many visiting hunters chase game afield early in the morning, then play golf in the afternoon. Getting there : Call the course for more detailed directions, as they may be able to give you a better feel for finding this out-of-the-way course. From Abilene, drive north on Hwy 277 to Hawley. Go east at Exit 1226, and drive 6 miles to the course.